Spectrum youth are often visual learners, thinking and recalling visuals as opposed to language or auditory quotes. There are a number of ways you can incorporate more visuals into teaching, whether it’s additional slides, funny pictures that hold the attention during a presentation, or even more practical visuals like posters of the group rules or a graphic calendar of events. In a culture that has recently embraced the power of the ‘meme’, it’s a perfect opportunity to punctuate a lesson or sermon with pictures in a funny way. Even having your key points or sound bytes as a visual aid is enough to substantially increase a visual learner’s ability to recall it later. These visuals will hold a greater impact than a lengthy explanation and will probably help all your students learn and grow. This is something I was taught in my college education courses, and it’s especially true for many spectrum youth – teenagers don’t respond well to long strings of verbal instructions. When you explain a game, it should be short and concise. If you have to add more instructions during the game, that’s better than reciting the Gettysburg Address beforehand, losing the focus of everyone and actually hindering the success of the game. If possible, when you are giving instructions, try to limit them to three clear steps. If you are explaining rules, keep them to clear, simple instructions like, “Don’t cross this line.” instead of, “This line is a boundary, and the ball is not supposed to go past this boundary because that’s a rule and I don’t want you to take it past this line or else the other team gets the ball.” Keep it short, clear and easy to remember. For many teens on the spectrum, it can be difficult to bridge from specific examples to generalizations. We are often teaching concepts that broadly impact our lives but through a specific example. Consider a lesson on the parable of the soil where you might talk about how the plants that grow on the rocky ground and are scorched by the sun, just like people who’ve experienced a trauma, and because their faith isn’t rooted, it fades away. If you use the example of a loved one passing away, it may be helpful to explicitly explain that any difficulty could adversely effect one’s faith if it’s not rooted. Analogies are great examples of things that need to be broken down and explicitly linked to general lessons. It’s not uncommon for spectrum youth to have difficulties picking up on social cues. One of my former youth struggled with knowing how long a hug should last. Another would raise their hand after every question, even when they didn’t have anything on topic to say because they thought they were supposed to. It can feel strange or awkward to have these conversations, but often times spectrum youth need to be told things like “A 2 count is fine for a hug” or “If you don’t know an answer it’s alright to let someone else offer theirs”. Phrases like, “This is what we are doing now.” or, “That’s not a good way to speak to an adult.” are great examples of helpful, loving ways of modeling social expectations. Occasionally, I have even found myself using phrases like, “You don’t need to invite others to the bathroom before you go.” or “It’s not appropriate to comment on how other people smell.” In each case, the youth learned an important social standard and, in one case, one of my youth stopped telling everyone exactly what kind of food they smelled like. No two students are alike, and though there are trends that often apply to most spectrum youth or to most teenagers, remember that each is a unique creation. This advice applies to all of your youth. Understand that who they are is growing and changing through their physical development, the impact of their lessons in school, the impact of the amazing and insightful lessons they are getting at youth group, and the other social connections they are traversing each day. Some spectrum youth struggle speaking in front of a group, others struggle with not sharing every thought they have publicly. In either case, knowing which behavior is present in that youth and learning to help give it the appropriate structure is crucial. Whether a youth is Autistic or not, they have unique talents and difficulties, and understanding them will make you better at what you do. Take all of these points as broad advice, then begin to approach each youth differently. Celebrate what works and adapt what doesn’t. And don’t sweat it if this doesn’t all work right away. Pray then start again! Parents can also be an amazing resource, as they have usually done a fair amount of research themselves. They also know their teen better than any blog or book, so they will have insight to their child’s own specific behaviors and quirks. Find a cozy booth in Starbucks and keep filling it with people who know more than you, because it’s good education, good fellowship and a good practice for any youth leader to get into. Every youth deserves our attention and guidance, and that means that sometimes we have to change up how we do things. It’s part of our call, both as youth leaders and Christians. Autism is just one of the vibrant differences that God created us with, and youth ministry should be a positive experience for everyone who’s involved with it. Once we are able to adapt our thinking and teaching to engage all of our youth, we will begin to see what the Kingdom of God really looks like, which is an exciting goal. 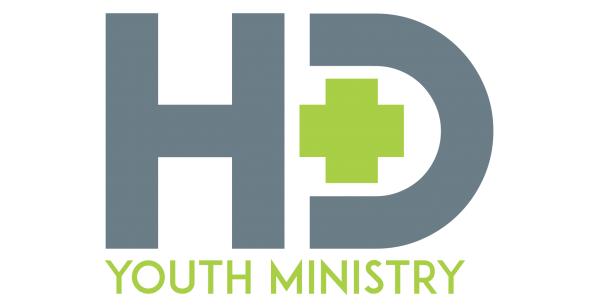 This article was originally published by Youth Ministry Partners here.